Paul is Korean and Penny is from New Zealand. 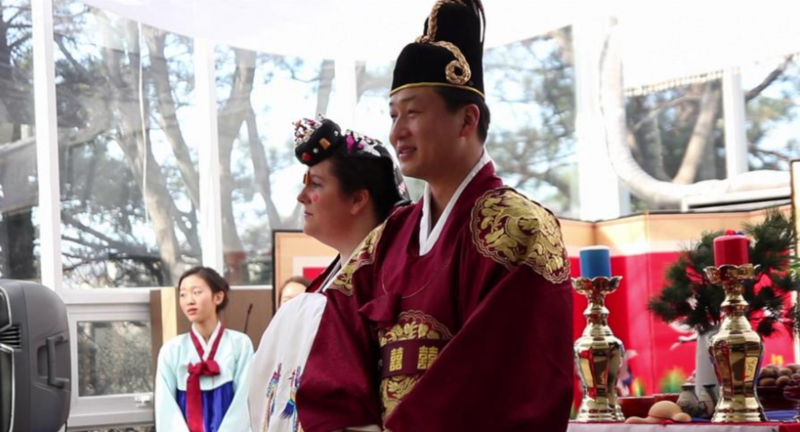 They decided to have a Korean/traditional style wedding at King Sejong Hall in Seoul. Here’s a video montage of their Korean wedding ceremony.